There are many ways to capture a screen so that you can use images from the internet or another program that you have on your computer. People use capture software all the time so that they can take a picture of what they are looking at and then use it on a blog or website or just to email a friend to ask a question. 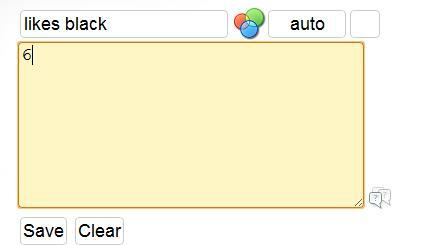 Google chrome has a few of these. The one I use is called "Capture Annotate." It allows you to quickly capture an image from a web page, edit it, and then save it. It is software that is installed on your Google Chrome browser so this won't work for you if you want to capture images from another piece of software such as "Microsoft Office." You must be in Google Chrome browsing the internet to use this extension. 1. Go to the following link and then click the "Add to Chrome" button. 2. Once it is installed you will see this icon at the top right of your Google Chrome browser. 3. 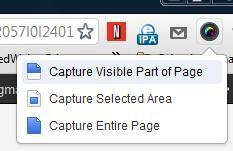 Now navigate to a specific web site from which you would like to capture an image and then click the Capture icon. You will get three options. If you want to capture everything you see on the website, use the first option. The second option allows you to draw a square around a specific area and will take a picture of everything in the square. The third option lets you capture the whole screen. 4. In this tutorial I am going to take a picture of a specific are on Google and then edit the image. Once take your picture of a specific area you will be take to a new window or tab. The first button will let you crop the image a little smaller. You can use the second and third buttons to draw a square around a portion of your image. Then you have your lines, the arrow, straight line, and squigly line. I really like the button that looks like a rain drop. This is nice because you can use it to "blur" out information that is more confidential. The "A" button allows you to type directly on your image. 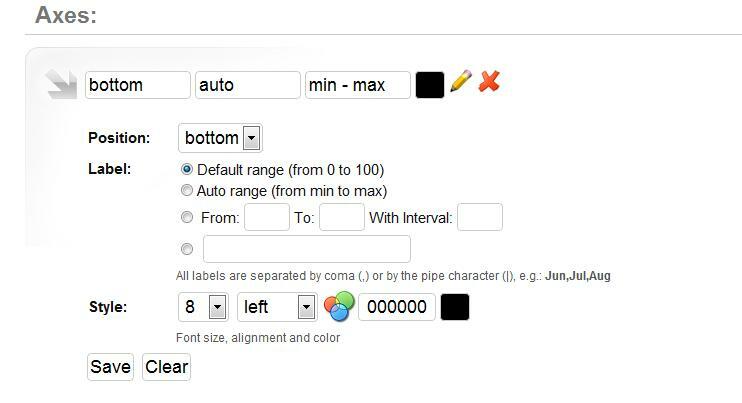 The next button over will give you a color option so that you can change the colors of your markings. Finally you have your "Undo" button and your "Done"button. 5. The image below demonstrate all of the different tools you can use on your image. Once you are done editing it, click the "Done" button. 6. Now you will see the "Save" and "Copy" buttons. 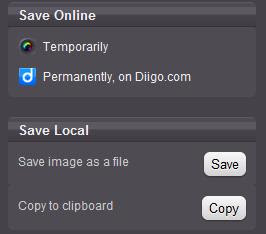 If you want to save your image permanently on your computer then click the "Save" button. The "Copy" button allows you to copy the image and then paste it somewhere else. That is all there is to it. A piece of cack. 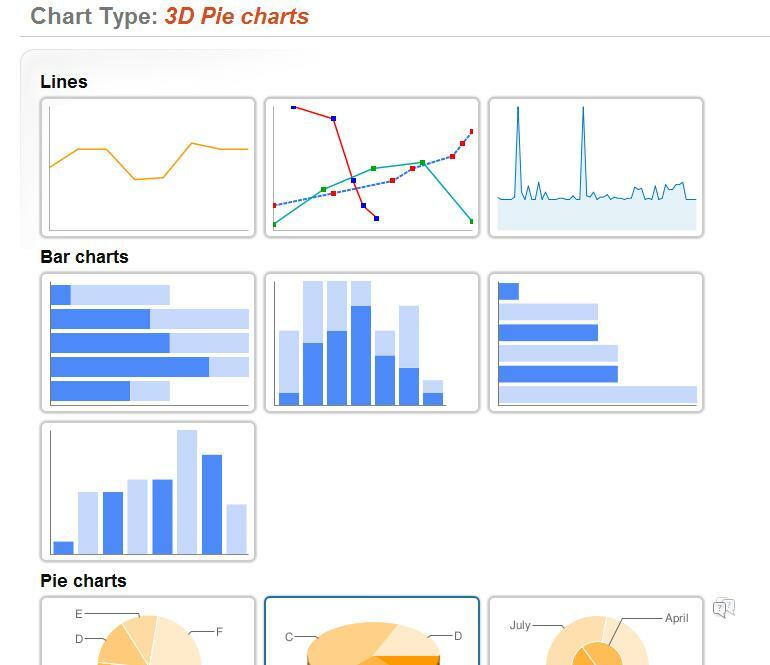 Create dynamic data charts using Hohli Charts. I have blogged before about students and teachers having the capability to easily create dynamic charts and graphs based on data they have collected. Hohli charts is another simple method of doing so. In fact with Hohli charts you and your students don't have to log in to create and share charts. There are many types that you can create. You can tell the site how big you want your chart to be. This is nice if you plan on making a printed copy. Here is a simple example of what the chart can look like. 1. Go to charts.hohli.com and choose the chart type that you would like to work on. 2. Now choose the size of your chart. 4. You will notice that off to your right you will see your chart being built as you add the data to it. This is the visual representation so that you can make sure it is relevant and looks good. 5. Now type in your data sets. In this case I am typing in data on favorite colors. In the box below type in how many. 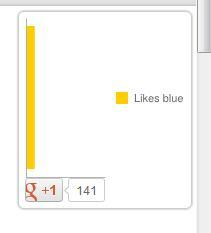 If you click on the "Auto" you can change the color of that particular data set. I could change it to black as I am asking how many like black. 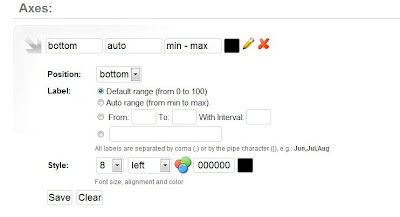 Hit "Save" and then type in your next data set. 6. Your "Data Max Value" is the largest number you want to view on your Y Axis. In this case I have 33 students so I want that to be my max value. 7. In this section you just need to play with it and remember to look to your right at your image being unfolded as you change the settings. 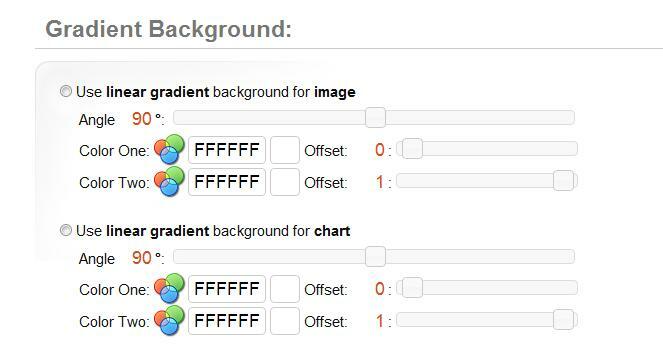 Play with the fonts and colors until your chart looks great. You need to "Save" it each time so that your image refreshes. 8. 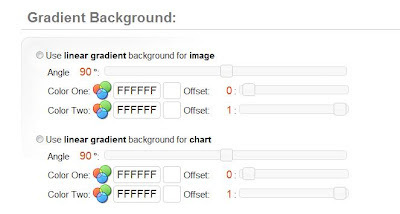 Change your background color in the next section. Remember to find a background that doesn't clash with your font color. 9. You can also use gradient colors. I love playing with gradients. 10. I haven't really worked with the "Grid" section. Play with it a little and see if settings here will enhance your educational data chart. 11. 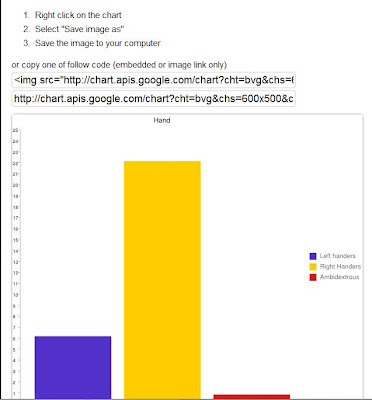 Once you are done with your chart, click on the image of your chart on the right hand side of your screen. This will pop open a new window from which you will be able to copy your embed code or get the direct link to your chart. Well this is how simple creating a dynamic chart with your students can be. Much easier than going through an "Excel" spreadsheet and you can see your chart unfold as you are working on it. The dream of most technology savvy teacher have a dream that some day they can use those awesome and easy to use "Clickers" in their classrooms. I am jealous of anybody who has them and want to congratulate them. However, there are other alternatives to having clickers to get instant feedback from your students. One of them that my good friend Matt Runyon has been blogging about is Socrative, which I am a huge fan of and hope that company succeeds, because it saves a bunch of hardware costs. While not as advanced and with as many options as Socrative and "Clickers" there is yet another awesome instant response system available for free call "Mentimeter." What can you do with Mentimeter? You can easily create polls and surveys that visibly show the results to your classroom. You can create multiple choice questions with many choices. Questions can be answered with any mobile device if it has internet capabilities. What are some disadvantages of Mentimeter? So far it only allows for multiple choice, but that really is OK because the site is set up as a polling site. Some sites, for money allow you to just text the answer. This site doesn't, but then those other sites charge money and Mentimeter does not. Here is an example of what the public would see as voting occurred. Why don't you give it a test try by typing in the address at the bottom of the page and see the results add up. You can also get there quicker at this moment by clicking the link to my poll. http://vot.rs/11540 . It doesn't matter what you answer, just have fun watching the poll. 2. Right away you get to type in your question. 3. Type in your different choices and answers. 4. Choose how you want your graph to visually look to your audience. 5. Off to your right hand side you will see a "To presentation" button. Click it. 6. Give your audience/students the address at the bottom of your graph. 7. Off to the right hand side you will see four faded icons. "Edit" allows you to edit your poll. The "Fullscreen" icon will display to your audience just the graph and make it look a little less than a website and more like a presentation. 8. The "Share" button will will give you an link to your poll and presentation. You can also get your embed code so that you can embed your results inside of your blog or website like I did at the top. 9. The "Settings" button will allow you to "reset" your poll. This is nice for those planning on using it in class as you can reset the results for each class period of the day. You can also use the "Close Poll" option to finish the poll. 10. When your audience/students go to the link that you provided them they will chose an answer and then click the "Submit" answer button. 11. I tested the ability to take the quiz again and you can see that it wouldn't let me do so. 12. Here is what the presentation view would look like. The nice thing is that you don't have to refresh your screen to see the results. They are live and in real time. It is awesome. Good luck and have fun using Mentimeter. 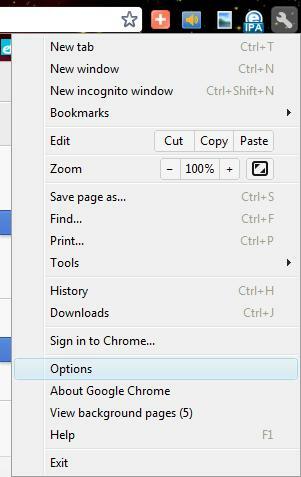 About a month ago I was asked how to do a "Print Selection" inside of Google Chrome. You know, the ability to print just a specific paragraph or sentence out of the whole online artical that you are reading. So going out and doing some research, I came across "Print Friendly," which is a nice little Google Chrome extension that allows you to cut out the parts of an artical. This extension is great for getting rid of ads and other unwanted material from the artical that you are reading. Even though "Print Friendly" is nice, it can take some time deleting all of the stuff you don't want, instead of just highlighting and printing the parts that you do want. I even came across another extension called the "IE Multi Tabs" which converts the page you are looking to an internet explorer page. Once viewed in "IE Multi Tabs" you can then highlight what you want, right click on the selection and then print it off. Even though this is easy to do, I am a big fan of making life even easier. Well thanks to reader Yuri Dolgov, I know another way that you can just print the selection of text that you do want. 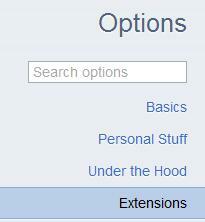 Believe it or not, it is called the "Print Selection" extension. I can't believe I didn't see this extension the first time I went around looking. Here is how you go about installing and using the "Print Selection" extension. 1﻿. Make sure you are in the Google Chrome browser. 6. In the search box type in "Print Selection," and then hit enter.
. Find the "Print Selection" extension and then click the "Add to Chrome" button. 9. Once it is installed, just go to a website, highlight the text, and then right click on the text and you should see a "Print Selection" option. 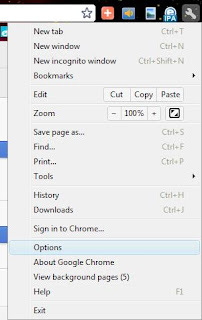 Click the option and that will take you to the standard Google Chrome print screen. Well happy printing and enjoy using Google Chrome.